A frappe (pronounced frap-pay) is an iced beverage that has been shaken, blended or beaten to produce a tasty, foamy, and refreshing drink. It is served cold, often with whipped cream and toppings. You can add ice before or after beating the coffee and custom additives such as sugar, milk, vanilla, and sweet sauces. 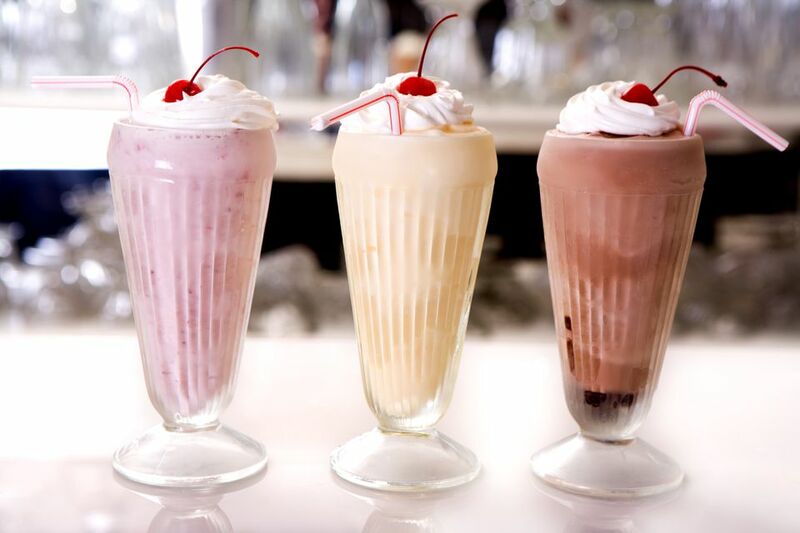 It depends on what you are shaking or blending it in: a shaker, frappe maker or blender. An ice-crushing blender is better than a shaker for blending a frappe. Though a frappe has been traditionally made with coffee, you can make other flavorful frappe drinks with teas, juices or hot chocolate; the possibilities are endless. There are many different variations of this popular blended icy drink that was first inspired in Europe, decades ago. The word Frappe comes from the French word frapper which means to slap, knock, or beat. Numerous cold coffee drinks named "café frappé" go back to the 19th century. Some were similar to slushes, others more like iced coffee. The Greek version of café frappé, using instant coffee, was invented in 1957 at the International Trade Fair in Thessaloniki. A worker with the Nestlé company was showing off a new product for children; a chocolate beverage produced instantly by mixing it with milk and shaking it in a shaker. Another worker was looking for a way to drink his usual instant coffee during his break, but he could not find any hot water, so he mixed the coffee with cold water and ice cubes in a shaker. This improvisation established this popular Greek beverage. Frappé has been marketed chiefly by Nestlé and is among the most popular drinks in Greece and is available at virtually all Greek cafés. Although a Café Frappé today mostly is associated with the Greek instant coffee version, the rest of the world has during the last two decades embraced the espresso version, simply shaking a double espresso with some white sugar (shaker 2/3 full of ice) and pouring directly into a glass. Foreign tourists in Greece have taken frappé to their homelands, where it has been adopted with some changes. In Bulgaria, Coca-Cola is sometimes used instead of water, in Denmark, cold milk is often used instead of tap water. In Serbia, frappé is usually made with milk or ice cream. How does a frappe differ from a smoothie, iced coffee, or iced cappuccino? A frappe is blended longer, til a substantial foam has been created, and the ice is well-blended. If a frappe is shaken in a cocktail shaker, crushed ice can be added with the coffee or whole ice after shaking. Smoothies or iced cappuccinos are blended to the preferred ice consistency, regardless of foam. Iced coffee is often not beaten, but served as strong coffee served on ice. Since the blending process is similar for an iced cappuccino or frappe cappuccino, it's often difficult to see or know the difference. Can You Really Improve the Arnold Palmer? Absolutely!